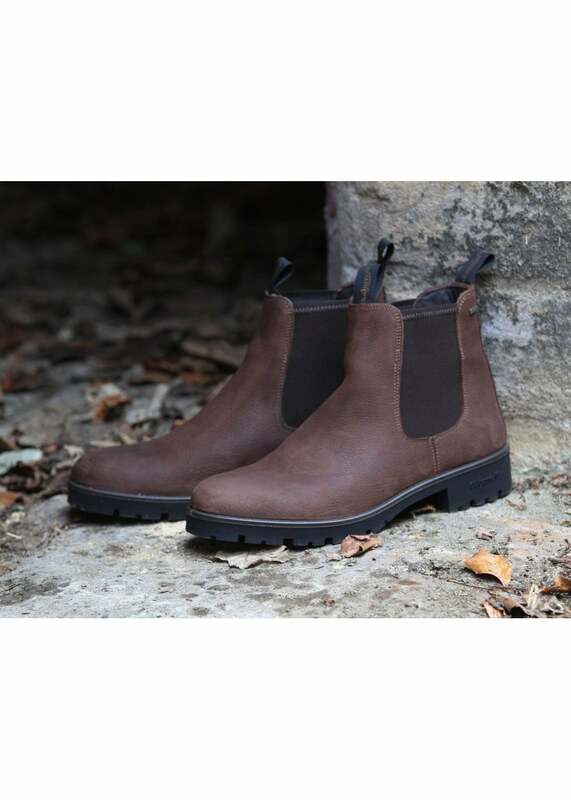 The Wicklow Boot is a leather ankle boot for men. It is fully Gore-Tex® lined ensuring it is waterproof and breathable. The Wicklow Boot is a leather ankle boot for men. It is fully Gore-Tex® lined ensuring it is waterproof and breathable. The boot is easy to put on with its heel finger pulls and elasticated gussets. The durable, heavy cleat sole makes the boot an ideal all year round boot. Showing 10 of our total 13 reviews, with an average rating of 5 stars. Read all 13 reviews for Dubarry Wicklow Jodphur Boots. Very well made, quality leather. Slightly more expensive but worth it. A very good boot and they are just as good as they claim, so get some and see.